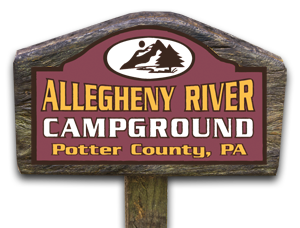 We are a family destination park, full-service campground located on historic Route 6 and the Allegheny River in the beautiful PA Wilds. We offer primitive & new glamping tent sites, full-service cabins, 50-amp sewer hook up sites, & vintage RV rentals. Route 6 west at mile marker 170.